In theology and church Paul is regarded as the most important and most reliable historial witness to Jesus and early Christianity. This book nevertheless contradicts the common conception and shows that all the Pauline letters are in fact skillful falsifications from the second century. The author solves the numerous unresolved questions that surround the figure and the writings of Paul until today in convincing and scholarly original ways. At the same time, the reader accompanies him on his breath-taking trip through the mysterious world of Gnosticism and the early Christianities. Numerous individual observations which have not been considered by theologians until now are brought together to produce an entirely new picture of early Christianity. At the end of the book the puzzle of Paul finds a solution that is as amazing as it is illuminating. This exciting history of the spuriousness of all the Pauline writings allows the time of earliest Christianity to appear in an entirely new light and invites a critical consideration and new evaluation of presumably certain facts of Christian history. The author, Pfr. i.R. Dr. theol. Hermann Detering, was born in 1953. He is proponent of the Radical Criticism and creator of Radikalkritik, a web journal devoted to critiquing the New Testament and investigating various scholarly proposals for the origins and dating of the texts. Detering is member of the Committee for the Scientific Examination of Religion. Last publication: “Falsche Zeugen - Außerchristliche Jesuszeugnisse auf dem Prüfstand”, Alibri-Verlag, Aschaffenburg 2011. Hermann Detering lays out a fairly compelling case in this book. His annotated epistles takes what one normally finds to sound like vague generalizations and gives them a concrete footing. His own translation from Greek adds to the authenticity, though some traditionalists may take issue with some of his word choices. This is intentional on Detering's part because part of his case is that many of the issues in the original text have been papered over in modern translations following mistakes made in the late middle ages which have been copied because they are 'traditional' now. 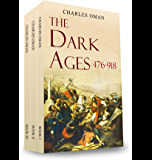 This book also delves into the history of the texts that make up the epistles, how we know them today and the dates that we can confidently assign to them. While much has been made of fragments existing at a very early date, we don't have complete editions until later, and even those don't quite agree due to redactions made by mistake, or mischief, along the way. 4.0 out of 5 starsHas Anyone Seen Paul? When I first heard that "some of the Pauline letters" were not actually written by Paul, I shrugged: “Okay, I can live with that, it just indicates how much the ancients adored their apostle”. Or did it? 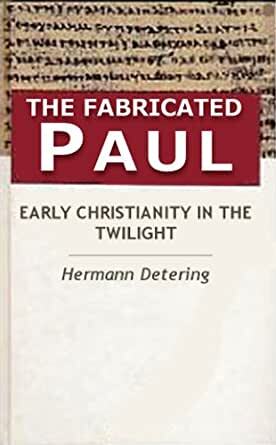 Sure thing, Hermann Detering is not widely read, I never knew of him, but with “Fabricated Paul” he proved himself worthy of our attention. He does so rather convincingly, by undermining the presumed historicity of the great Apostle Paul. The flaws that Detering points out--by themselves, each one taken independently--are not convincing. However, when viewed as a pattern, the Pauline Letters can better be understood as documents written with a political agenda. This agenda, furthermore, fits neatly not the FIRST but rather in the second century. When this is understood, everything begins to make sense. Now I have doubts that Paul wrote any of the letters so ascribed to his pen; and consider that I'm only a little further than half way through this book. There’s a lot more to come. The points Hermann makes so far are so stark that they imply, or at least suggests, that the Pauline letters were authored by the Marcionite sect, perhaps even by Marcion himself. Clearly, if nothing else, Detering establishes that the author of these epistles was not of the Jewish tradition, he simply could not have been, and here he presents enough specifics to support this assertion. “Paul the author” was an imposter, who for reasons other than piety forged these letters for his own greedy end. Of course this--if it were to be proven, beyond the proverbial "shadow of doubt", then in that case--would change everything. After all, Christianity, as a religion, is based in no small way upon Pauline Epistles--believing that he was a man who knew of and preached about Jesus shortly after Jesus untimely death. 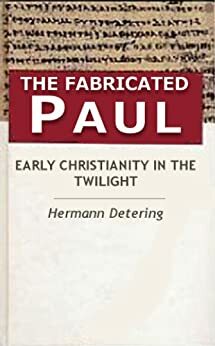 Relax, Christianity will not devolve just because a rather obscure exegetes such as Hermann Detering cast his disparaging theories that Paul was fabricated. However, Hermann Detering is not the only bible scholar expounding this radical view. So says none other than Robert Price--“The Amazing Colossal Apostle: The Search for the Historical Paul” (Kindle Locations 158-159). Incidentally, I bought both Kindle books at the same time and haven’t had the time, as yet, to read Robert Price’s contribution, although I will. The point is, there are far more than just two scholars who smell the same scent; you just know they are on to something. The question arose in my mind was: "Was Paul a real historical man or was he a mythical figure?" The answer that I came to, it doesn't really matter. If everything attributed to Paul was fabricated--as it now appears to be the case--then we really have no idea who the real Paul was, what he preached, what he said, and where he went. We actually know nothing about this man regardless, outside of the New Testament. But then, the same thing could rightfully be said about the man from Galilee. We know absolutely nothing about Jesus, either--except for what is written in the New Testament. These two colossal figures left no footprints, outside of books that were, in most cases, written many decades (70 to 150 years) after their deaths. With this information--the high level criticism of the authenticity of the Pauline doctrine--coupled with what we already learned about the duplicity of the early church fathers (propensity of redacting earlier text) the church has no basis left to claim authority. I mean, at what point can one rightfully claim that any book in the New Testament is factual--when every book contained there within has serious structural flaws. That is, just who authored what? We simply do not know who the historical authors were of any of the books of the entire Bible--the New or the Old Testament. We do not know, for sure, who wrote what. If the earliest Gospel was authored late in the 1st Century (now arguably the earliest book of the NT) then nothing left of Christianity that dates back to within 60 years of the Crucifixion. Keep in mind that his was in ancient times, a time when superstition ran supreme, long before mass communication, when a story grows with every retelling. So, what’s left now? Where is the bedrock of the church if Paul was fabricated? Sorry, it’s beginning to look like he was. An absolutely fascinating look at why certain scholars (a minority of them, but still) claim that none of Paul's letters are authentic...and that maybe Paul didn't exist! You don't have to accept the author's out-there conclusion about Simon Magus in the last several chapters to find a lot of value in most of the book, where a lot of really obvious-in-retrospect inconsistencies in the letters crop up and demand explanation. Also, it's short, efficient, and entertainingly written. Best book I've ever disagreed with! 5.0 out of 5 starsA well researched exciting read. The Fabricated Paul is a very important book. It is academically sound, well researched and an exciting read. Detering opens up the possibilities of rethinking the history of the writings of the Christian Scriptures in a way that helps uncover the history of the early Christian church. This is vital information for the the church of today and tomorrow. Detering brings deep insights by marshaling facts that trace the emergence of the Pauline epistles in the milieu of Marcionite teachings. This certainly challenges the conventional belief (for which there isn't evidence though) that Paul was a first century witness. Detering convincingly argues that even the epistles believed to have been authentic are unlikely to be authentic. A must read - especially for those who presume the historicity of Paul is a given.